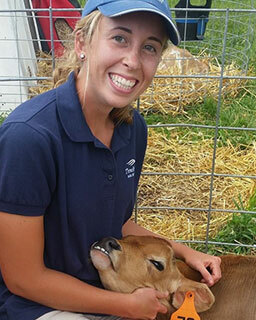 Abby recently finished her second year at the University of Minnesota College of Veterinary Medicine. While she has always loved books and school, she is excited for the opportunity to work in a veterinary clinic this summer to practice many of the skills she has learned. At school, Abby is involved with VeTouch, a monthly free veterinary wellness clinic put on by volunteering veterinary students and veterinarians. During her college years, she also worked part time at another veterinary clinic for three years. Abby currently lives in Minneapolis with one cat, although she would love to add more pets to the mix soon. In her spare time, Abby enjoys cooking and baking, running around the Minneapolis lakes, and going up to her cabin with her family.